Some of the judges implicated in journalist Anas Aremeyaw Anas’ corruption video have resorted to the Fast Track Court to challenge the processes leading to their suspension. 6 of them are Circuit Court judges while the rest are District Magistrates. According to them, the letter from the Judicial Council which asked them to respond to Anas’ video, was dated 4th September, 2015, but was only delivered to them on 8th September. The said letter asked them to respond to the allegations in the video, also on 8th September, the same day the letter was delivered to them. They argue that they were not given ample time to respond to the said allegations by the journalist while the Council proceeded to with the suspension. In their writ, the 14 judges also argued that the investigative committee set up by the Chief Justice to investigate the corruption allegations against them, does not have the locus to do so. Three Judges implicated in the corruption scandal at the Judicial Service have been acquitted and discharged. They are Frank Ashietey Addo, Kaakyre Atta Owusu and Kofi Ahiabor. 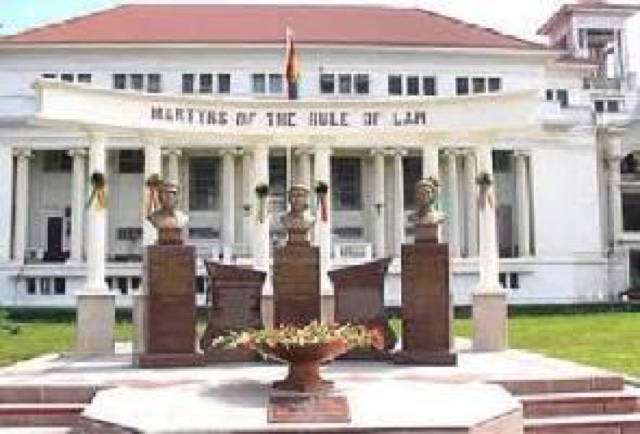 Frank Ashietey who is a Magistrate in Prestea is said to have taken 200 cedis at Kasoa for one Torgbor in the case involving his client and the Republic. They are asking for an apology letter from the plaintiff, Anas Aremeyaw Anas.